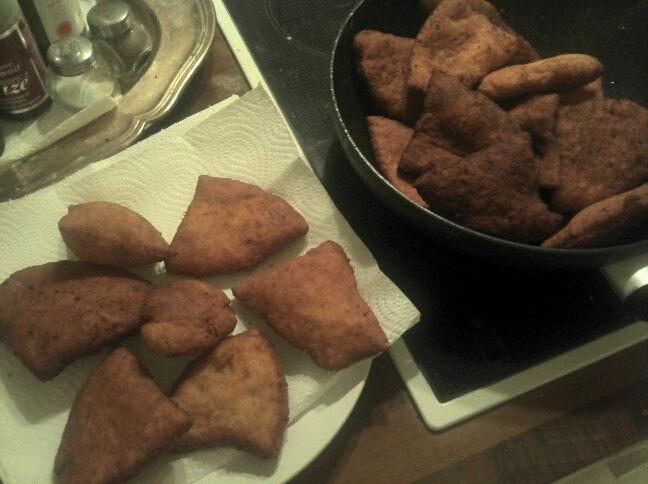 So I used the remaining oil to make some Mandazi. Some turned out well, others just collapsed. The secret that will make them pop up seems to be a mixture of the right temperature, the correct dough mixture and pushing them down until they pop up.